Before we hit January’s review, Abby posted on her blog about the YES WE CRAB! reading challenge for February. 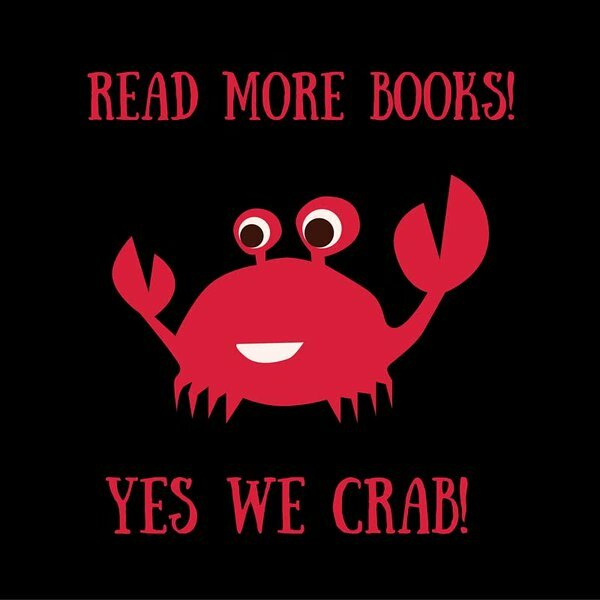 Set reading goal for February and check in on Twitter with #yeswecrab. I’m going for 10 books this month! Unusual format, but easier to follow than I anticipate. AND IT’S AWESOME! RBG is awesome. That is all. OHMIGOD MY HEART! Beautiful book, just beautiful. Love her books. Four stories expertly woven together. I had high expectations for this. I was highly disappointed. On that happy note, what did you read in January? Tudor England (ca 1485-1603)– I blame Phillipa Gregory and Johnathan Rhys Meyers’ portrayal of Henry VIII. Medieval/Middle Ages (ca 1000-1500)– Catherine Called Birdy by Karen Cushman. Read it or we can’t be friends. Italian Renaissance (ca 1300-1600)- So many things happening during this time! Early 20th Century– Samantha from the American Girls series and Downton Abbey FTW. Aaaannnndddd I didn’t hit a list of 10. Oh well! What are your favorite time periods to read about?